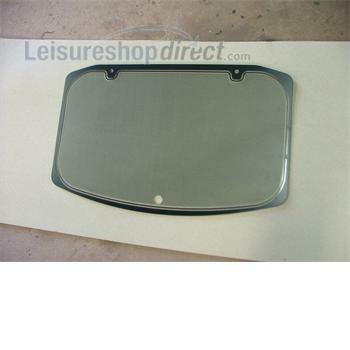 At Leisureshopdirect, we understand that having the right sink for your motorhome or caravan kitchen area or a vanity sink that not only does the job buy looks the part too is really important, which is why we stock such a wide range of caravan spare fixings and units and replacement parts for your on board kitchen and bathroom. Caravan sinks get a huge amount of use and need to be fit for purpose as well as being large enough to manage the traffic! And ignoring a damaged sink isn't an option when the possibility of water leaking into the fabric of your 'van is on the cards. Many of our customers are about to embark on or are in the middle of a refurbishment of their existing home-from-home, replacing old caravan sinks with newer, more functional accessories and we take pride in the range and quality of the products we offer those customers, all at very reasonable prices. Perhaps your 'van has a slightly dated interior and you are looking to gift your 'van a make-over? Replacing an old sink with one of the new stainless steel Smev Sinks we have in stock will help to transform your existing kitchen area into a far more modern looking space. If space saving is important to you, we stock a range of space-saving caravan sinks, as functional and beautiful as their larger counterparts, just far more compact! If it's a circular caravan or motorhome sink you are after, we stock those too in stainless steel like this Spinflo Stainless Steel Round Sink. Here you will also find a wide range of plastic vanity units and vanity caravan sinks for the replacement or repair of your bathroom or shower room sink and surrounds. 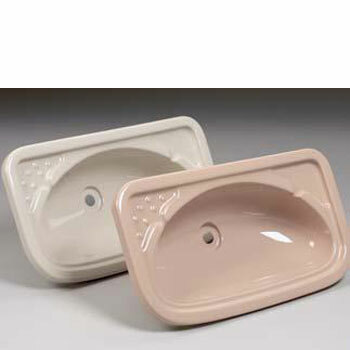 Whether you are looking to replace a plastic corner sink, or the basin to fit seamlessly above your existing Thetford Cassette Toilet, you'll find what you are looking for here. To complete your project head to our section selling kitchen and bathroom taps for caravans. 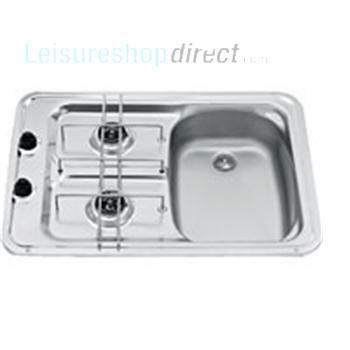 And, of course, because at Leisureshopdirect we believe as much in repurposing and refurbishing as we do replacing entire units, you will also find here a range of the spare parts you'll need to replace missing plugs, sink covers and plugs chains and the whole gamut of plumbing for your caravan you'll need to either fit your new caravan sink or to repair an existing unit requiring some TLC. installation in your caravan or motorhome. Glass lids of the sink or combination unit are ideal for extra work surface. The Thetford/Spinflo hobs, ovens, grills and sinks are world-renowned for their high quality and customization possibilities. This allows customer specific solutions for the cooking, heating and kitchen workstation requirements. Whether you have a holiday home, touring caravan or motor home we have the appliances to suit your application and budget! Spin?o is the leading British supplier of quality caravan hobs, cookers, ovens and sinks to the recreational industry, serving the caravan, motorhome and holiday home markets for over 20 years. Spin?o products are world-renowned for their high quality, durability and customisation possibilities. Today, all Spin?o cooking appliances are manufactured in the British city of Sheffield. Employing over 160 dedicated professionals. 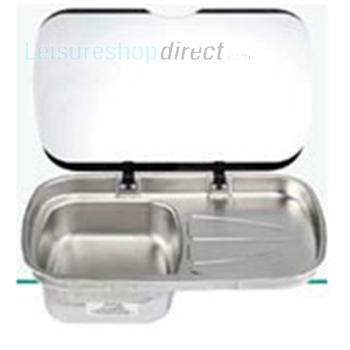 Steelbrite sinks are manufactured by Unipart, suitable for caravans, motorhomes and boats. 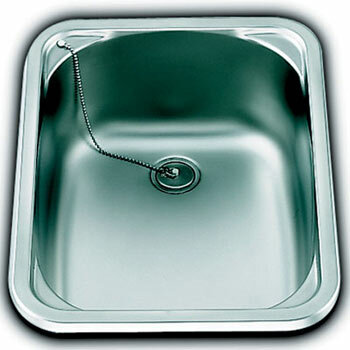 Stainless Steel sinks with drainers. Spinflo was founded in the 1970’s by Dr. John Wilkie, who saw potential for producing sinks for the leisure market by using metal spinning, also known as flow forming. This process gave Spinflo its name. Spinflo products are world-renowned for their high quality and customisation possibilities.